Vanderbilt Otology Group, Nashville, TN- Neurotology Fellow in Department of Otolaryngology. 2015-2017. Medical University of South Carolina, Charleston SC- Resident in Department of Otolaryngology- Head and Neck Surgery. 2010-2015. Medical University of South Carolina, Charleston, SC- College of Medicine, MD degree, 2006-2010. University of Virginia, Charlottesville, VA- College of Arts and Sciences, Undergraduate Studies Bachelor of Arts with distinction in Spanish, 2002-2006. O’Connell BP, Hunter JB, Wanna GB. The importance of electrode location in cochlear implantation. Laryngoscope Investigative Otolaryngology. 2016 Dec;1(6):169-174. O’Connell BP, Hunter JB, Sweeney AD, Thompson RC, Chambless LB, Wanna GB, Rivas A. Outcomes of the Suture “Pull-Through” Technique for Repair of Lateral Skull Base CSF Fistula and Encephaloceles. Otology & Neurotology. 2017; 38(3):416-422. O’Connell BP, Holder JT, Dwyer RT, Gifford RH, Noble JH, Bennett ML, Rivas A, Wanna GB, Haynes DS, Labadie RF. Intra- and Postoperative Electrocochleography May Be Predictive of Final Electrode Position and Postoperative Hearing Preservation. Frontiers in Neuroscience. 2017; 11:291. O’Connell BP, Hunter JB, Haynes DS, Holder JT, Dedmon MM, Noble JH, Dawant BM, Wanna GB. Insertion depth impacts speech perception and hearing preservation for lateral wall electrodes. Laryngoscope. 2017; 127(10):2352-2357. Hunter JB, Francis DO, O’Connell BP, Kabagambe EK, Bennett ML, Wanna GB, Rivas A, Thompson RC, Haynes RC. Single institutional experience with observing 564 vestibular schwannomas: factors associated with tumor growth. Otology & Neurotology. 2016 Dec;37(10):1630-1636. O’Connell BP, Hunter JB, Gifford RH, Rivas A, Haynes DS, Noble JH, Wanna GB. Electrode location and audiologic performance after cochlear implantation: a comparative study between nucleus CI422 and CI512 electrode arrays. Otology & Neurotology. 2016; 37(8):1032-5. O’Connell BP, Cakir A, Hunter JB, Francis DO, Noble JH, Labadie RF, Zuniga G, Dawant BM, Rivas A, Wanna GB. Electrode location and angular insertion depth are predictors of audiologic outcomes in cochlear implantation. Otology & Neurotology. 2016; 37(8):1016-23. 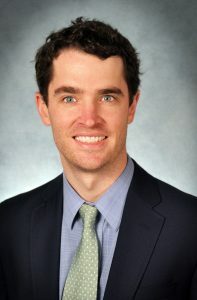 O’Connell BP, Holcomb MA, Morrison DR, Meyer TA, White DR. Safety of Cochlear Implantation before 12 months of age: MUSC and ACS-NSQIP outcomes. Laryngoscope. 2016; 126(3):707-12. O’Connell BP, Rizk HG, Hutchinson T, Nguyen SA, Lambert PR. Long-term Outcomes of Titanium Ossiculoplasty in Chronic Otitis Media. Otolaryngology Head Neck Surg. 2016; 154(6):1084-92. Hunter JB, O’Connell BP, Wanna GB, Bennett ML, Rivas A, Thompson RC, Haynes DS. Vestibular Schwanoma Growth with Aspirin and Other Nonsteroidal Anti-Inflammatory Drugs. Otology & Neurotology. 2017; 38(8):1158-1164.